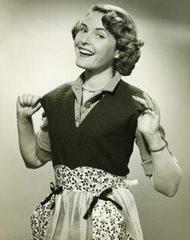 Aprons in the Wind began nearly 10 years ago with a box of inherited aprons that my mother wore. From that point on it became a mission to solicit near and far to collect more aprons with the intent that each have attached a written sentiment that honors a special woman like; a mom, grandmother, aunt, sister, neighbor, co-worker and/or girlfriend. Soon the display grew to over 200 fabric aprons. 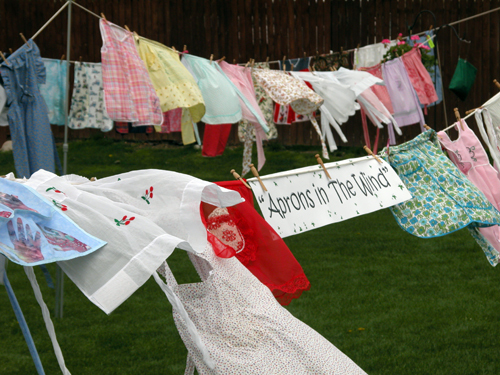 On Mothers Day weekend, beginning Friday 1PM until Sunday 6PM, the apron display is assembled and strung throughout the grassy yard at Perren Photography Studio. All are invited to walk amongst the old fashioned clothes lines strung with colorful fabric aprons and to take time to enjoy the visual delight and read the many dedications. Want to contribute a dedicated apron? See details below. Aprons are accepted anytime and from anywhere. Mail to: Perren Photos, PO Box 127, North Lake, WI 53064. Or bring it the day of event. Clothes pins are available. All aprons become apart of the annual display and are not returned. 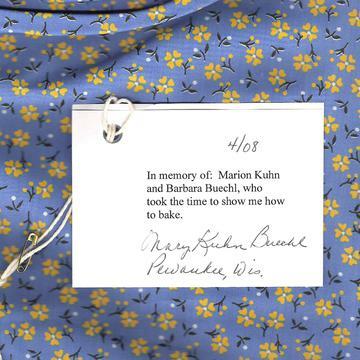 NOTE: If your not wanting to part with your heirloom, simply find another at a thrift store or sew one and attach a waterproof dedication note. The aprons are not to be removed from clothesline and are not for sale. Broke my heart to have one lifted a few years ago. There is no requirement for aprons to be celebratory of a past life. Your special gal can be alive and kicking too. Aprons hang rain or shine. Welcome to bring a blanket and enjoy a Mothers Day picnic in the grass. Physical: N76 W31428 County Rd. V. V.